While you may be tempted to go out and buy new equipment, look for equipment at yard sales or auctions. The last thing you need to do is get yourself too far in debt before you’ve even secured clients for the business. Learn to make do with what you need. Many new business owners often think they need every piece of equipment available. They think it makes them look more professional to have everything. The truth is, your clients are not really going to care what you use to get the job done, they will only care that it does get done. As you start bringing in profits, budget for equipment breakdowns and newer equipment. Every business that relies on its equipment working properly should always plan to invest in new equipment at some point. If you do not set aside a certain portion of your earnings for it, you may just find that you are unable to repair or replace an item when it is needed the most. Imagine what this would do to your business if your lawn mower broke down and you still had several lawns to mow that day. As you add new clients to your lawn care business, you are going to find there will always be schedule conflicts. One of the most important things for you to realize is that you should never overbook yourself for one day. Should something come up or equipment break down, it could reek havoc with the rest of your week. Do your best to schedule each day of the week with the same amount of work. When planning your schedule, do not forget to schedule a day off. Many people in this business often work seven days a week. These are the ones who do not last in it. Every one needs a day off to recuperate. To make sure you are on top of things, make sure you have your week’s schedule with you at all times. Clients may request changes and by keeping your calendar readily available, you will save yourself a lot of time. Many successful lawn care business owners often find that a laptop helps them keep everything available to them at all times. If you are not experienced with operating your own business, consult a professional tax person who can help you to set up your books. You will need to keep track of everything you make, as well as keep it separate from your personal finances. If you do not wish to retain a bookkeeper, you will find a lot of great options in financial software. Just be sure that the one you choose is easy to use and you will be able to keep your finances organized. Don’t be one of these workers that keeps their paperwork in one pile. Make sure you have a filing system where you can keep track of receipts, contracts, and everything else pertaining to your business. Your organizational skills will play a very important part of your success. While you may have a few clients already lined up for your new lawn care business, to bring in a steady, full-time income, you are going to have to learn how to secure more clients. The first step is placing an ad for your services in the newspaper. The next step is creating a brochure for your lawn care business and the services you can provide to your clients. Keep these brochures handy and make sure you leave a few at some of the local gathering places in your community. You will also need business cards for your business and, like the brochures, keep extra with you at all times. Give them out to everyone you know and, again, leave them at places where those in your community are known to gather. Last, if you are need to fill up your schedule, do not dismiss the idea of a direct mailing. Mailing out postcards to those in your target area is a great way to secure new clients. 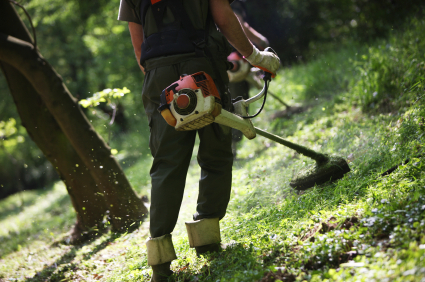 Of course, these are just a few of the things you need to consider with your new lawn care business. As with any business, it will take time for you to start earning a profit, but as long as you are patient, work hard, and give it your best, you stand a great chance of making a great success of your new business. I have been a owner of a lawn care for four years now. I cant pick up any business at all I have tried everything I can think of to do for advertising . What should I do now ? Thank you. Your information is very informative and helpful.